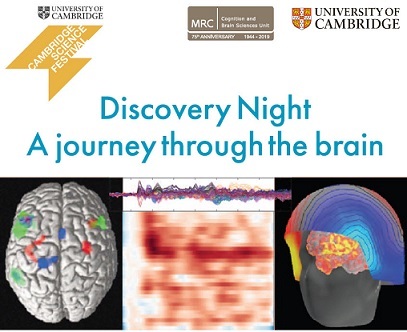 As part of the 2019 Cambridge Science Festival (11th – 24th March), the MRC Cognition and Brain Sciences Unit (MRC CBU) will be hosting an in-house Science Night, exploring parts of the various research programmes being carried out at the Unit. 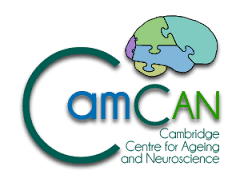 Camilla Nord Where in the brain is depression? Tim Kietzmann What can A.I. and neuroscience learn from each other? Polly Peers Training the brain after stroke: Can we use technology to improve cognitive function and reduce disability? Booking is not required, however, we have a maximum capacity of 90 people for health and safety reasons. No parking is available on site. Refreshments will be provided. Please contact Vicky Collins if you have any queries. We look forward to welcoming you to the Unit on Wednesday 13 March.